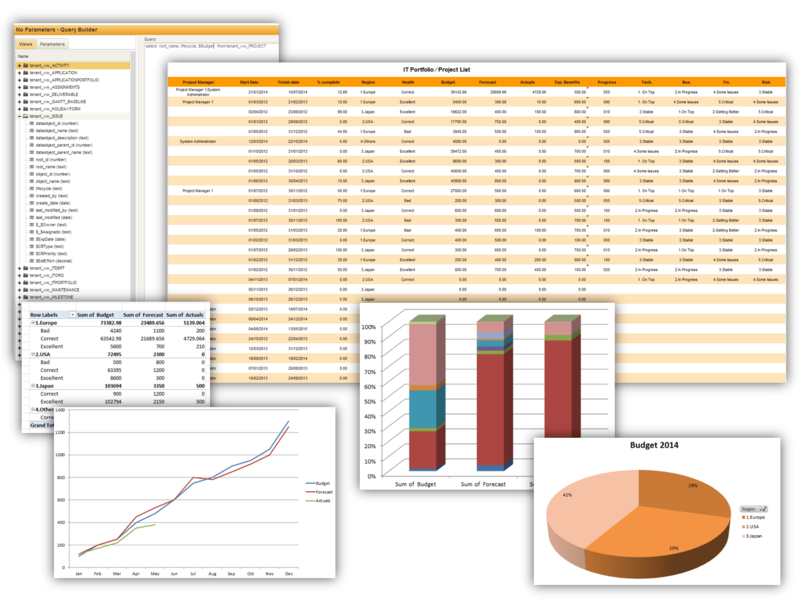 Triskell offers a comprehensive range of reporting and analytics options. 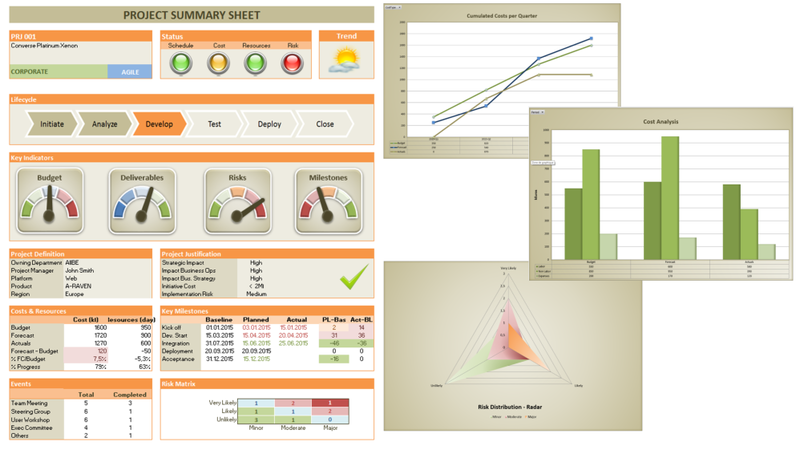 Configurable Dashboards, Score Cards, Reports and Datamart ensure that you get the right information, at the right time. Triskell allows users to easily customize and create their own dashboards, score cards, and reports to gain necessary visibility onto business performance within and across portfolios. Triskell not only support simple data export to Microsoft Excel, but it also allows users to automatically extract data to be exploited in Microsoft Excel reports, defined by yourself, according to your needs. This way, without also having to purchase specialized OLAP tool, you take advantage of any Microsoft Excel advanced features such as Pivot Tables, conditional styling, and drill-downs to analyse project data. Automatic refresh as soon as data is updated – no manual process or delay. Data stores can be built in Triskell on the datamart to extract data – no extra development needed.